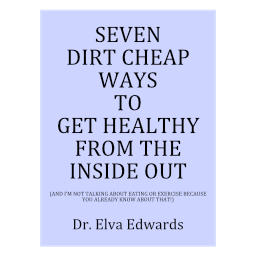 Castor Oil Packs – Dr. Elva Edwards, D.C.
Are there any physical problems that don’t have something to do with digestion? Perhaps there are, but right this minute they escape me. Many physical problems we have are related in some way to digestive problems. People tend to think that burping, intestinal gas, constipation, diar- rhea, and problems eating certain foods are normal. Health is normal and nothing else. Anything else is problematic. The symptoms listed above are indications that all is not right with the digestive system of the body. Alexis Carrel earned a Nobel Prize for discovering that there are three things that a cell needs to be healthy. First, the cell needs oxygen. Second, the cell requires the ability to repair itself. The final characteristic the cell needs is the ability to get rid of its waste products. A properly functioning digestive system is of utmost importance because healing isn’t possible without our food being metabolized properly and the waste products being disposed. Even the blood vessels that carry the oxygen to all parts of the body are nourished by our food. Food, or the vitamins, minerals, enzymes and co-enzymes we get from food, makes healing possible. And because our food does not give us enough nutrients, we take supplements. You have probably heard, “you are what you eat.” Now we say “you are what you eat, metabolize properly and absorb.” In other words, you can eat a food or take a vitamin, but if you do not absorb the nutrients and handle waste products properly, the body will not be fully nourished and it can impact your health. My intention is to give the readers ways in which they can help themselves with their health. As far as I know, there is no drug whatsoever that aids the lymphatic system. The lymphatic system is the system that takes waste products away from the cells in the body. You can imagine how the flow in our lymphatic system might not be the best after a certain number of years of life. One way to stimulate the lymphatic as well as the circulatory system is to brush your skin. Don’t use a common hairbrush. There is a special brush you can buy at the health food store for skin brushing. When you get in the shower, brush your skin. Typically you brush your skin toward the heart. Obviously, massage is a wonderful way to stimulate the circulation and move the lymphatic. Besides that, it is relaxing. My favorite remedy to improve the lymphatic system is the use of castor oil packs. Castor oil is an unsaturated fatty acid that prevents the overgrowth of fungus, bacteria and infection. At the first sign of illness, try a castor oil pack for your symptom relief. I’m not suggesting abandoning other care. If you need a doctor, go. However, this can be added to your care. Even when you are well, do the packs at least once a month. Some people prefer to apply the packs once a week. If you are sick when you apply the packs, the difference will be obvious. It is less obvious when you are well, but see if you can notice the difference. Put the cloths in a bowl and take all the supplies to your easy chair or your bed. Apply the castor oil cloths to the abdomen. Put plastic wrap or a trash bag over the cloths to limit the mess. Put the heating pad over the plastic wrap and turn the heating pad on. Leave the pack on for at least an hour. If you apply this before going to bed, you can turn the heating pad off after an hour and leave the wrap on until morning. Or you can rub in the castor oil. If you need to get the oil off, take a shower and leave on what is left. If you want to get the oil off, use a natural soap or a mixture of baking soda and water to remove the extra oil. If you have a cough, apply the castor oil pack to your chest. With a sore low back, place the cloths on your low back. Normally, for general good health, we place the packs over the abdomen, but there is no reason you couldn’t put it anywhere on the body. And, don’t be surprised if your varicose veins and hemorrhoids improve dramatically!